Here you will find all the success in Surrey County Netball. From club awards to tournament results - you can find all the information right here! A NETBALL tournament held in memory of a four-year-old boy from Bracknell helped raise more than £1,000 for charity. A total of 11 teams took part in the fifth renewal of the well-supported event on Sunday. Sherrie and Paul Bennett, from Elizabeth Close, set themselves a £10,000 target following the death of their son Declan in 2010. Lifeline Netball Club are celebrating their best ever season with some great wins in several leagues. The club, based at Wallington Sports Club, have expanded over the past year thanks to the Back To Netball initiative that has seen club membership rise to over 65 members. The National Lottery and the BBC have announced that England Netball’s Active Women Back to Netball campaign has won the National Lottery Sports Project of the Year 2012. A group of Back to Netballers had a surprise visitor during training yesterday as multiple Olympic gold medallist, Sir Chris Hoy dropped in to announce the incredible news. Over 9,000 women living in deprived areas and/or caring for U16s have taken up the sport thanks to the Back to Netball initiative and it has helped to change lives across the country. England Netball is proud to have spearheaded an initiative that has had such a positive impact on thousands of women across the country. With the spotlight firmly focusing on a lasting legacy for sport after the London Olympics, there has been particular attention paid to women’s sport and the need for increased coverage and media space. Netball has once again been leading the way; appearing on BBC News, Sky Sports News, BBC Radio 4, BBC Radio 5 and a well-received presence on ITV2’s The Only Way is Essex. By remaining a frequent focus in the public eye and by targeting otherwise untapped markets, the sport is opening itself up to a larger proportion of potential participants than ever before and as the success continues on and off the court for England, the future looks bright for the sport in our country. The achievements and progression made over the past year owe a lot to the fabulous work and support provided by the many sponsors, partners and friends that England Netball relies on. We would like to take this opportunity to publicly thank some of the key supporters of the Back to Netball programme. We would like to firstly acknowledge the workforce who delivers sessions every week, without our incredible team of supportive and approachable coaches, this achievement would not have been possible. We have also received remarkable support from local authorities, facilities, County Sports Partnership’s and the Women’s Sports & Fitness Foundation with their invaluable customer insight. An award such as this is not only won by the organisation, but by those that made it possible and we look forward to cementing these relationships over the coming twelve months. We would also like to thank each and every member of the public who took the time to vote for Back to Netball to win this accolade. The response and reception received has been immense and it truly validates the tremendous effort put in by all involved to make this fantastic campaign such a success. Saturday 8 June 2013: Lifeline Netball Club held their annual end of season BBQ and presentation evening at Wallington Sports Club, Hillside Gardens, Wallington, Surrey. The awards were presented to players by Denise Butler, Chairman and Jo Beattie, Jack Petchey Co-ordinator. Alongside the awards for Lifeline players within the Croydon Netball League, Met and Greenacres teams, there were also trophies presented to members of the Back to Netball section. There were many more awards this year, as Lifeline has just completed a fantastic season with twice as many teams than before. 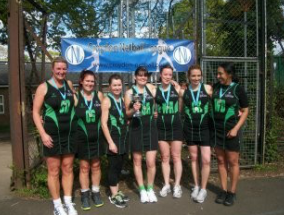 With four teams in the Croydon Netball League and two in the Met league, along with one in the Greenacres league, they have just celebrated winning four out of seven of these titles. A great night was had by all, you can view the full list of award winners on www.lifelinenetball.co.uk or see below. “Our annual awards are the pinnacle of our season. It enables all our sections to come together to not only enjoy good food with friends, but also recognition from their fellow players for all their hard work and commitment” commented Denise Butler, Chairman. The next event for Lifeline will be the CNL Versatility Rally on 15th June, with the A team defending their title win in 2012! Sarah Wozniak is presented with the Rebecca Taylor Award by Jo Beattie (l) and Denise Butler (r) The Rebecca Taylor Award was first awarded in the 2007/8 season and will be awarded for 5 years. The award has been presented to Lifeline NC by Carol and Peter Taylor, Rebecca’s parents, in honour and memory of Rebecca, who sadly died in April 2008, aged 29. Rebecca had been a member of Lifeline for over 3 years. She was a quiet but highly competitive player. Always considerate of those on and off court, courteous to all and committed to Lifeline NC – in fact playing her last match in October 07, just 6 weeks before her cancer diagnosis. These 4 attributes (competitive, considerate, courteous and committed), were the criteria that Lifeline Committee use in deciding each year’s recipient. 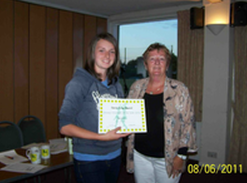 Surrey Young Volunteer of the Year 2011 - Amy Robinson - from Chequers NC has won the regional round of Goalden Globes through to the National selection on 22 September 2012 in Birmingham - Amy is one of our our very talented young volunteers and we wish her luck. Lifeline are Climbing High, in more ways than one! 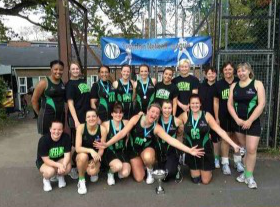 Lifeline A team are delighted to report their promotion to Division One of the Croydon Netball League and are excited for 2012/13 season, increasing from 2 to 4 teams due to the amazing growth in the club through their Back to Netball scheme. Lifeline won both the CNL End of Season Rally and the CNL Versatility Rally in 2012, and are looking to collect more silverware during this coming season. Also, over the summer break one of the Lifeline players, Charlotte Butler, currently studying at Christ Church Canterbury University, completed a climb of Mount Kilmanjaro and raised £2,500 for Childreach International. And if that wasn’t enough, she stayed on an extra week to coach and umpire netball at the Filbert Bayi School in Tanzania. She had the opportunity to work with Mary Waya, recently retired from the Malawi national squad, and a game she was scoring was broadcast on East African TV. Thanks to all who donated to Charlotte’s climb including Surrey Netball and Lifeline Netball Club who provided and shipped bibs, balls, kit and whistles to donate to the school. “We are all delighted to have such an enthusiastic and generous sportswoman, giving so much of her time and effort into improving the sporting experience of those of other communities” said Christ Church University sport and Netball Club. And Lifeline Netball Club is also very proud of her and her achievements. 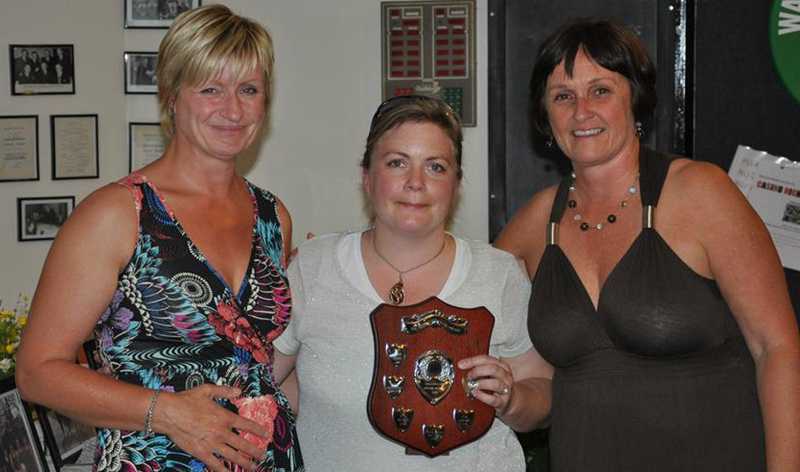 Surrey County Netball Association held their AGM on Wednesday 13th June, during which Surrey Lion Awards were given out. Congratulations to all winners. Lifeline A team had a great end to a fantastic season when they won the Croydon Netball League End of Season Rally at Shirley High School (Saturday 12 May) beating Roundwood B 13-7. Lifeline are also excited to report that they have been officially recognised by England Netball as a back to netball club – and Netball Mummies has now been fully integrated into Lifeline and are now known as Lifeline Back to Netball. This section of the club is going from strength to strength under coaches Elaine South and Emma Witcomb, and recent funding from Freesport. They now have over 50 players and recently hosted a Back to Netball tournament that involved four Lifeline teams, Chequers B2N and Hillcrest B2N. Lifeline “Orange” Team were victors of the inaugural event. Lifeline A finished a very close second in the second division of the Croydon Netball League, with Lifeline B doing well despite a mixed season in Division 4. Both Lifeline and Lifeline B2N will celebrate their successful year at their end of season presentation and BBQ in June.